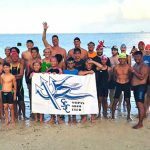 Saipan Swim Club’s Jinnosuke Suzuki and Kento Akimaru had a photo finish in last Saturday’s 2019 SSC Meek & Mighty Ocean Swim held in the waters off Kanoa Resort with the latter nosing out the former. Akimaru sprinted to the shore/finish line and timed in at 26:01—just a second ahead of Jinnosuke—to rule the longest race (2,250m) race of the competition and take the top honors in the men’s division. 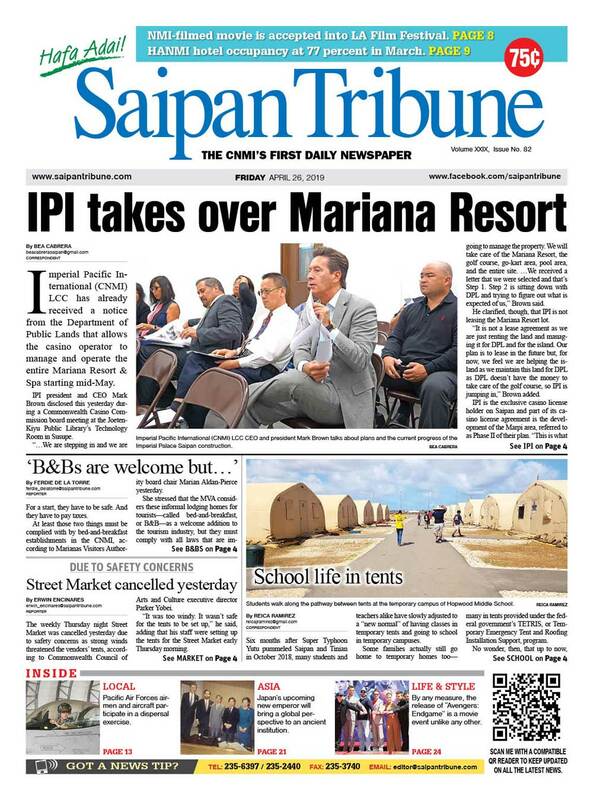 In the women’s category, Sophia Gauran and Jinju Thompson tied for first place after completing the three-loop course with identical times of 30:59. 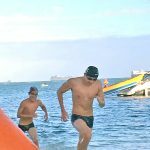 Lennosuke Suzuki and Anthony Camacho-Deleon Guerrero were also in a deadlock for third place after posting similar times of 28:24 or only two seconds ahead of fourth finisher Taiyo Akimaru. David Boyer rounded out the list of male swimmers that capped the race under 30 minutes after checking in at the 29:58 mark. 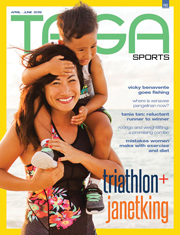 Other finishers in the 2,250m race were Colin Thompson, Sarah Vanderwai (35:99), Anthony Raho (36:24), Carlo Canepa (36:58), Gary Ramsey (44:03 with snorkel), Leo Wania (48:03), John Moreno (49:29), and Yulia Aleksenko (56:14). Meanwhile, in the 1,500m event, Kaithlyn Chavez and Michael Miller were the top finishers. Kaitlyn registered 24:27 in the two-loop race to prevail against their youngest sibling Julian (27:18), while Miller recorded 25:01 to beat Brad Ruszala (26:29), Mark Chavez (27:19), Boboy Aguilar (35:04), and Robert Torres (36:42). In the 956m race, Janet King rounded out the one-loop course in 17:83 to finish ahead of Zeno Iwami (18:29), while Alonzo Acosta came in on top of the 50m event, besting Tristan Raho, Jenny Zhang, Jack Raho, and Katrina Wu. 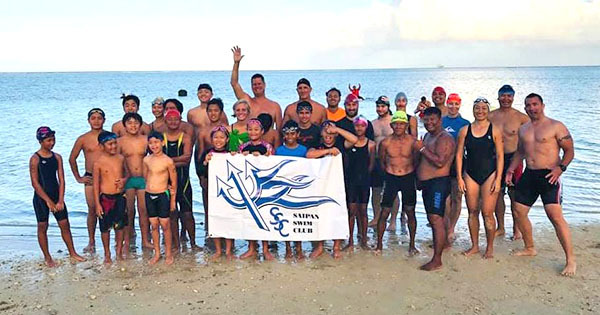 Last weekend’s Meek & Mighty Ocean Swim was a fundraiser with proceeds going to SSC swimmers that will represent the CNMI in three regional tournaments this year.